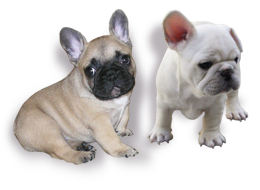 Contact us for info about upcoming FRENCH BULLDOG puppies! We want to thank you for taking the time to visit our website. 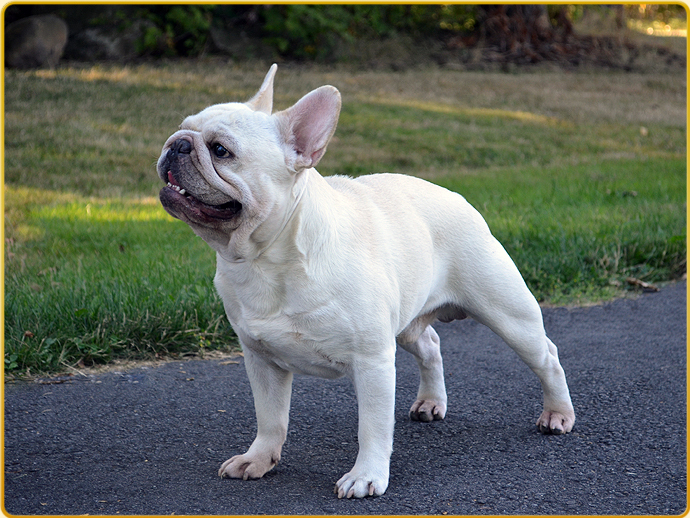 We offer our site for all who love the breed. 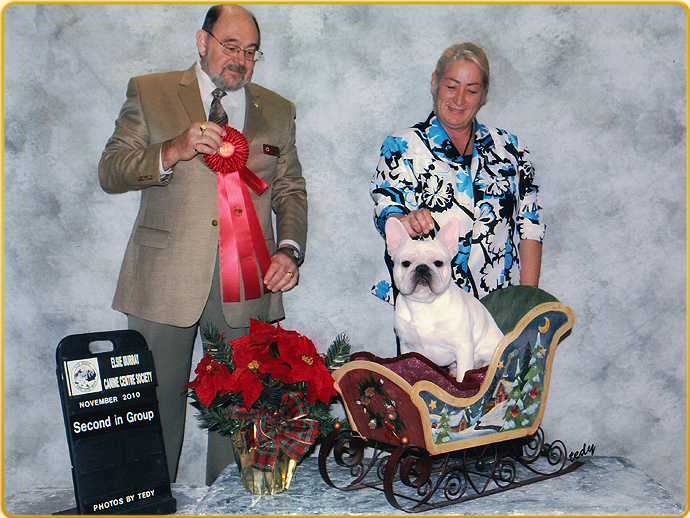 We are a small in-home kennel of quality French Bulldogs. All of our dogs live with us inside our home, and we treat them as family members, giving them a lot of care and love. 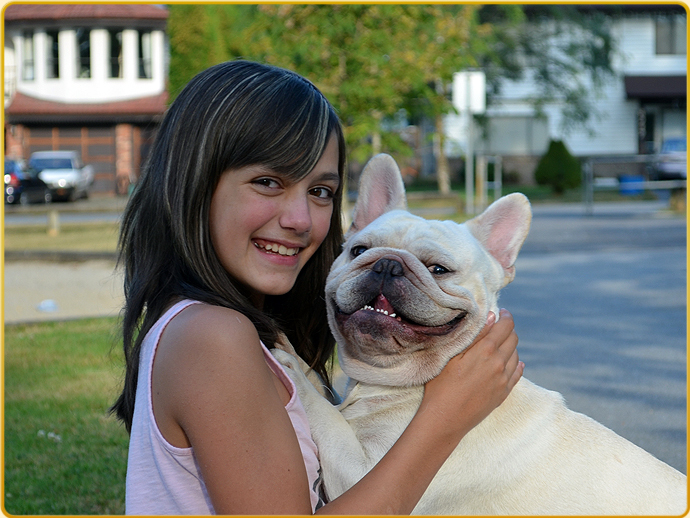 The health, happiness and well-being of our dogs is our top priority. We – and our dogs – enjoy daily exercise and training to keep them in good mental and physical shape. We live in Vancouver, Beautiful British Columbia, West Coast of Canada, surrounded by the Rocky Mountains and the Pacific Ocean. We enjoy walking our dogs along the shore and in beautiful parks – and believe in the following Latin quotation: “Mens sana in corpore sano”, meaning “A sound mind in a sound body”. We love our dogs and have enjoyed training, breeding and showing them since the early 80’s. However, showing and breeding the dogs is not our main business, but rather a professional hobby. We owned Rottweilers before we fell in love with Frenchies. 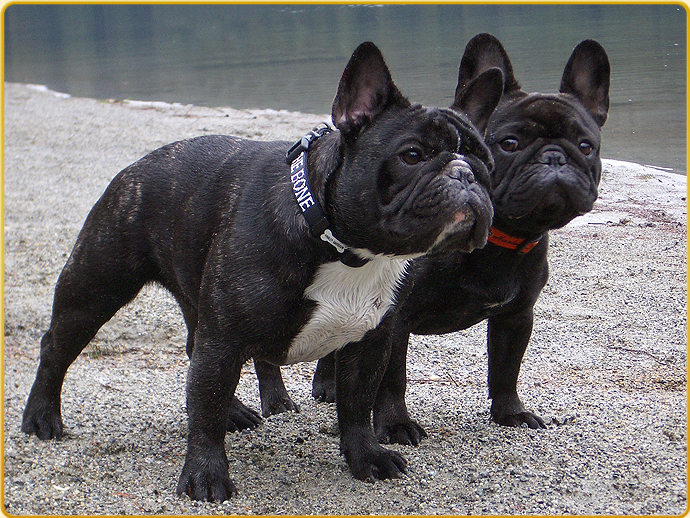 We no longer have Rotties, as Frenchies are now our primary breed. We started with just one Frenchie, but as the saying goes, you can not just have one, or two, or three… and we love each and every one of our sweet little Frenchies! 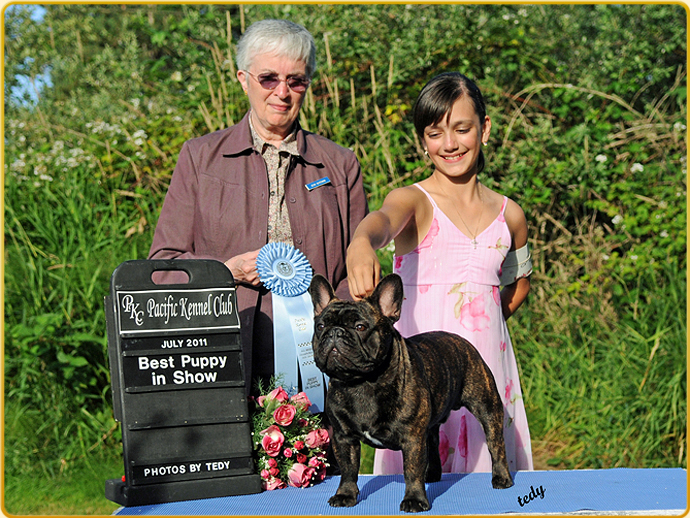 We are a Canadian Kennel Club registered kennel in good standing, breeding under their rules and regulations, as well as members of the French Bulldog Club of Western Canada. 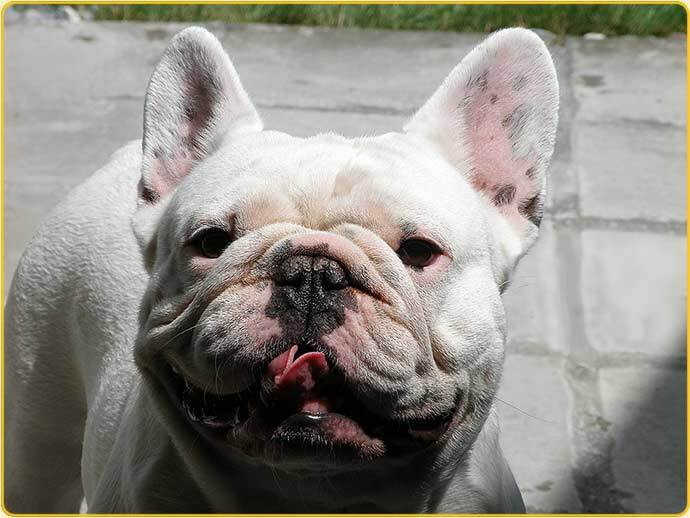 We do our best, using many years’ experience and all our knowledge, selectively adding new bloodlines to our breeding program, based on the assumption of genotype and phenotype suitability, to achieve better results. 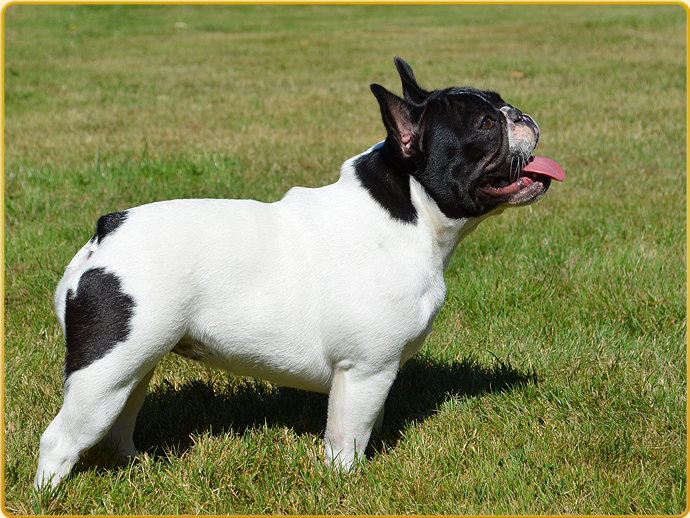 Breeding only to the official CKC standard, we believe a dog should be more than just pretty, it should be sound in body and temperament. We do all X-rays and health screenings for our dogs. Sometimes we have puppies for pet- or show-homes, and most of all for loving! 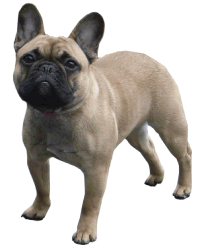 Please take a look at our FaceBook Page as well, where you can find lots of photos of our Frenchies, as well as show results!